Which Impact drill for which application? 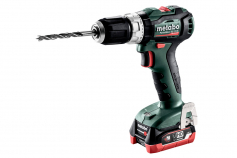 Our impact drills look back on tradition: Since in 1924 the »Metallbohrdreher« (metal drill) gave the company its name, we have been continuously implementing new standards when it comes to drilling. 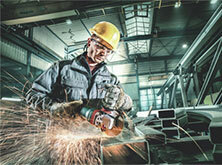 Our high quality standards guarantee optimum work results and precise holes. 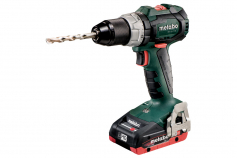 Metabo is the first large series manufacturer of impact drills and thus committed to high quality standards. The genius combination of large speed range, sensitive electronics, powerful torques and the selectable impact function make Metabo impact drills to real all-rounders. 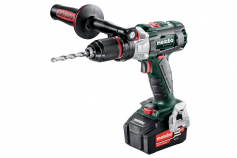 The can drill with impact in roof tiles, stone and concrete, drill without impact in wood and metal and obviously drive in screws without drill chuck thanks to the hexagon socked in the spindle for the direct accommodation of bits. Our range starts with a rated input power of 650 watt with handy machines clearly below 2 kilos of working weight. 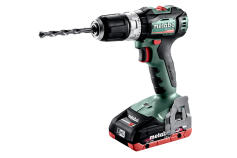 The most powerful impact drills with all technical refinements operate with 1,300 watt and weigh only 1 kilo more. Large holes in masonry with a diameter of 24 millimetres are no problem for it. User safety is the top priority at Metabo. 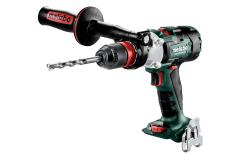 All impact drills from 700 watt are equipped with the Metabo S-automatic safety clutch. 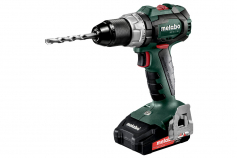 When the drill bit jams, the drive is automatically decoupled mechanically to minimise the reverse torque on the user. A restart protection prevents unintentional start-up of the impact drill after a power cut. 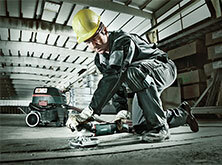 The Metabo Marathon-motor with integrated dust protection has an extremely long service life. In the more powerful models overheating is prevented with an integrated overload protection. Most models have a speed selection for working adapted to the materials, a two-speed gear and heat-dissipating aluminium die-cast gear housing. The top models are also equipped with constant electronics as well as an impulse function. What is important for you when it comes to drilling and impact drilling? To get you started right away, an impact-proof drill chuck, depth guide and side handle are part of the scope of delivery. 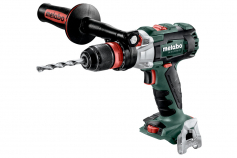 Whether geared chuck or keyless chuck, both types hold the drill bit firmly and safely in place, even for demanding applications. You should also focus on quality when it comes to drilling. 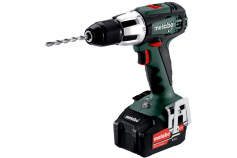 Impact drills can achieve the optimal result only with quality accessories. Our range of drill bits is adapted to our impact drills in all aspects. For any material, in any relevant diameter. The practically compiled assortments with drill bits or screwdriver bits can be your perfect companions. If you drill in closed rooms, suction adapters in connection with all-purpose vacuum cleaners make sense. 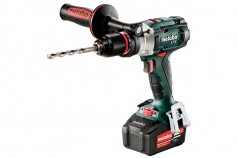 Special accessories for stirring, grinding, polishing and removal of rust can make the impact drill even more varied than it already is.